Question…what do a violin teacher, a hot-rodder, Cirque du Soleil and Yellowstone National Park all have in common? Answer?…the fine small-batch spirits produced by the Backwards Distilling Company of Casper, Wyoming that will be served in Yellowstone this summer. It seems an unlikely mix, but the owners of Backwards Distilling Company celebrate the unlikely, the misunderstood, the unusual, and the quirky. Sister and brother, Amber and Chad Pollock, are the faces of the company, also providing much of the creativity and energy, while partnering with their parents. The Pollock siblings explain that as children, they weren’t the ones in the front yard playing catch or other traditional kids’ games. They were fascinated with the circus, most notably, Cirque du Soleil. So juggling and unicycle riding were more their things. As adults, and before taking the leap into owning a distillery, Amber was a violin teacher and her brother, Chad, a hot-rod builder. Fast forward to the present, and the circus theme carries over to their products today. As they note on their website, they describe their spirits as a “colorful cast of characters” that includes, Ringleader Vodka, Sword Swallower Rum, Contortionist Gin, and Strongman Gin. The beverages themselves are flavorful, as the names suggest. They are “crafted grain to bottle in small batches” in Casper, Wyoming. Beyond the quality vodka, rum, and gins, the Pollock’s took a page out of Wyoming’s overlooked history to celebrate the days of moonshining with their line of Milk Can Moonshine. 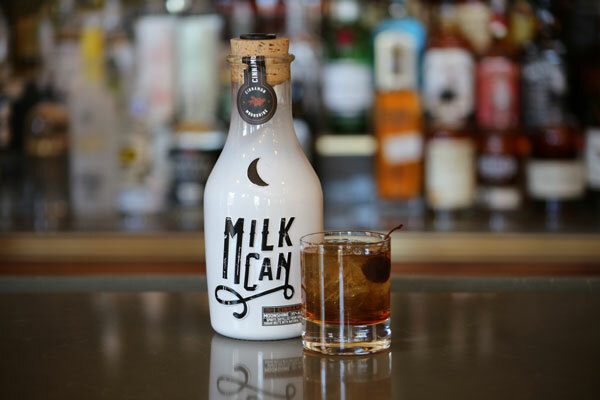 As they tell the story, “The name “Milk Can” honors the rich colorful tradition of rebel distilling in Wyoming. During Prohibition, our local moonshiners evaded the eyes of the law by pouring their handiwork into milk cans and ladling it out from dairy wagons.” Milk Can Moonshine, as well as their Cinnamon Moonshine, will be served in Yellowstone National Park Lodges’ bars and lounges beginning summer of 2018. One of the featured drinks will be the Milk Can Manhattan! The Pollock’s were born and raised in Wyoming with a commitment to supporting local and sustainable businesses. Any of the ingredients they can source in Wyoming they do, including corn and beet sugar. Fresh produce is sourced from, Wyoming Food for Thought, a local non-profit organization that fights childhood hunger. And the Pollock’s return the favor. Organic by-products of the operation go back to Food for Thought and their composting program, to fertilize their community gardens. And the spent grains are made available to local livestock ranchers. 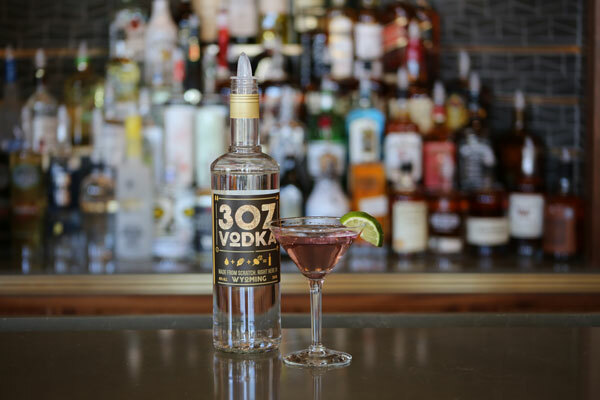 More information about Backwards Distilling Company, Milk Can Moonshine and 307 Vodka is available on their websites. More information about Yellowstone National Park Lodges’ commitment to locally and sustainably sourced food and beverages can be found here. For more travel experiences to Beautiful Places on Earth™ available from Xanterra Travel Collection and its affiliated properties, visit xanterra.com/explore. Want to experience Yellowstone in-depth? See what makes Yellowstone National Park a great place to work for a season or longer!